After Greg Lake and Keith Emerson had another falling out, Emerson, Lake & Powell was no more. 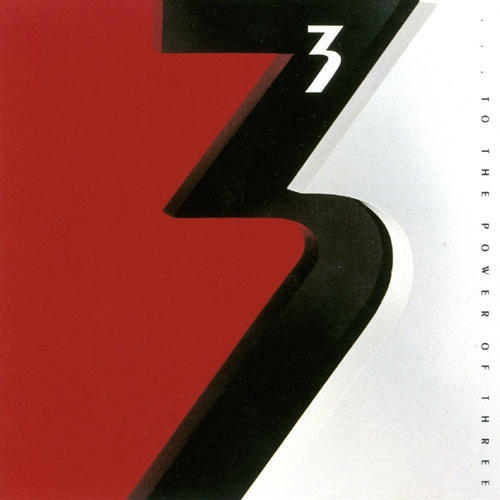 So Keith Emerson and Carl Palmer (free from Asia at this time) joined together with Robert Berry (who later became well known for his contributions to Magna Carta's tribute albums), and the three of them formed a band simply called 3. With or without hindsight, this name should have been considered a mistake. Yes, it's easy to remember, but who knows where a record store might file it. At the beginning of everything? At the end? Under T? Why they didn't choose Emerson, Berry, and Palmer, which would have been more marketable and have them filed either in or near other ELP releases, is something many have pondered. Well... not exactly. Very FEW have pondered this question because 3's To the Power of Three is rather disappointing. Maybe that decision was good after all, thus to prevent embarrassing the ELP namesake. No need to worry as the original ELP lineup would do a good job of that with Black Moon and In the Hot Seat in the 1990s. I guess everybody was doing this in the 1980s. Trading in their prog roots for some good old AOR. If my memory is correct, reviews at the time called this album dismal. Twenty years later, that term still fits. At least Asia and Yes were performing fairly decent AOR at the time. 3's To the Power of Three is just plain bland. And it's not because of any single member. All three of them contribute to this album's blandness and mediocrity. The opening Talkin' About was, I believe, released as a single and got some radio play. They did a rather modern, but bland cover of The Byrds' Eight Miles High. The rest of the shorter pieces sound similar to the shorter stuff from the 1985 release of Emerson, Lake & Powell's eponymous album and quite similar to material found on ELP's future 1990s releases of Black Moon and In the Hot Seat. The only interesting number is Desde La Vida, which had some semblance of progressiveness to it despite it's use of 1980s instrumentation. Clearly for collectors and fans of ELP, especially those interested in the twisted sidebars of the group's genealogical tree. Future ELP releases are as dismal as this one. Robert Berry, on the other hand, actually did some nice progressive numbers as a collaborator and on his own in the 1990s. Two stars.